ADVANCED NITROX AND DECOMPRESSION PROCEDURES CLASS. Classroom sessions will be at Giant Stride Schedule Dive schedule will be determined in the classroom. This is your opportunity to go beyond advanced open water and hit some of the deeper wrecks this state has to offer like The Bass, The Dixon, The Voland, the Cape Fear and more. 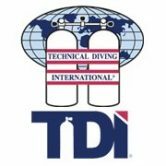 TDI Advanced Nitrox and Decompression Procedure is the next step in Tech Diving and at a great price….just $1025.00 When these 2 classes are taught together classroom time is about 8 hours instead of 12 hours and only 8-10 dives rather than 12. Of course this is a class for those who are VERY COMFORTABLE in the water. Tanks and regulators can be rented but it is recommended that at this stage in your diving that you have your own gear. As a Giant Stride Student you will receive a 10% discount on gear. The TDI Advanced Nitrox course is for those divers who want to optimize their gas mixes when planning dives up 150ft. During the course you will be taught how to effectively use EANx 21 through 100% oxygen. The main objective is to train divers in the benefits, hazards and proper procedures for utilizing 21-100% oxygen for dives NOT requiring staged decompression. (Decompression techniques may be combined with this course at the discretion of the instructor.) Prerequisites: · Minimum age: 15 unless taught in conjunction with the TDI Decompression Procedures course and then 18 is the minimum age. · Minimum certification: TDI Nitrox or equivalent. · Logged dives: Minimum of 75 open water dives, or the equivalent at the discretion of the instructor, in the environment in which the course is being presented. · The instructor has final approval on accepting anyone into the class even though minimum requirements have been met. Course Minimums: · Classroom/Briefings- Approximately 6+ hours · Open water dives- 4 (with a minimum accumulated bottom time of 100 minutes). Required Equipment: The following equipment is the minimum required for each student: · Manifolded double Tanks and stage bottle · Submersible pressure gauge · Depth gauge and automatic bottom timer and/or dive computer · Back-plate/wing · Exposure suit adequate for the open water environment (dry suit highly recommended) · Tank and regulator properly labeled and cleaned as required for EANx mixtures · Access to an oxygen analyzer (instructor may supply) Required Subject Areas: · Physics – review on pressure · Physiology- review of hypoxia, oxygen toxicity (whole body/OTU’s, CNS toxicity), nitrogen narcosis, nitrogen absorption and elimination, carbon dioxide toxicity, carbon monoxide toxicity · Formula work-best mix calculations, MOD for mix calculations · Equipment considerations- up to 40% and above 40% use of oxygen · Dive tables-EAD use with any table, computer generated tables · Dive computers-air, nitrox and multi gas · Dive planning-Operational: gas requirements, O2 limitations, Nitrogen limitations · Common mixing procedures-Partial pressure, continuous blending, membrane separation system · Decompression-EANx usage as a deco gas, 100% O2 for deco, Advantage/disadvantages of multiple gas switches. Required Open Water Skills: · Properly analyze gas mixtures · Demonstrate adequate pre-dive planning; Limits based on personal gas consumption, limits based on O2 exposure at planned depth, limits based on nitrogen absorption at planned depth with actual mix Graduation Requirements: · Satisfactorily complete the TDI Advanced Nitrox Course written exam · Complete ALL open water requirements safely and efficiently · Demonstrate mature, sound judgment concerning dive planning and execution. Required Academic materials: · TDI Advanced Nitrox Student manual · TDI EAD Tables TDI Decompression Procedures This course examines the theory, methods and procedures of planned stage decompression diving. It is designed as a stand-alone course or it may be taught in conjunction with such TDI courses as Advanced Nitrox. The main objective is to train divers how to plan and conduct a standard staged decompression dive not exceeding the maximum depth of 150 fsw unless taught in conjunction with the TDI Advanced Nitrox. The most common equipment requirements/configurations, gear set-ups, decompression techniques and decompression mixtures are presented. Prerequisites: · Minimum age 18 · Minimum of 25 logged open water dives, or the equivalent at the discretion of the instructor, in the environment in which the course is being presented. · The instructor has final approval authority on accepting anyone into the class even though minimum prerequisites have been met. Course minimums: · Classroom/briefing – approximately 6 hours · Open water dives – 4 Required Equipment: · Primary cylinders- Cylinder volume appropriate for planned dive and student gas consumption and with reserve gas. · Decompression Mix Cylinders- Cylinder volume appropriate for the planned dive and student gas consumption with gas reserve. SPG’s required on stage cylinder/regs. Cylinders labeled in accordance with TDI standards. · Depth gauge and automatic bottom timer and/or dive computer. (Back up bottom timing and depth gauge highly recommended). · Regulators-Primary and alternate second stage required on all primary cylinders. SPG’s are required on all cylinders. · Back-plate adequate for equipment configuration. · Jon-line and other rigging lines as dictated by site conditions. · Ascent reel with lift bag/surface marker buoy. Line on reel adequate for planned depth. Minimum 50lb lift bag. · Exposure suit adequate for maximum planned depth. Argon may be used for dry suits. · O2 analyzer (may be supplied by the instructor) · Underwater slate. · If using doubles/twin tank kits: isolator manifold with two regulators. 7′ hose to be on the primary regulator. DIN valve manifolds preferred. Required Subject areas: · Overview of decompression “safety stops” compared to required stops. · Physics-pressure review, formulas for solving dive planning, MOD, Best Mix, etc. · Physiology-Mechanics of bubble formation, Oxygen toxicity (whole body-out’s and CNS), advantage of hyperoxic mixes for decompression, Nitrogen absorption and elimination, Carbon Dioxide Toxicity, Ascent/Descent rates, Hyperthermia, Hypothermia, Psychological aspects-task loading, stress, panic, time management, equipment. · Decompression Options- air, nitrox, oxygen, air breaks during deco · Equipment considerations-twin cylinder or single cylinder option, valve options. Stage cylinder options, regulator options, harness/BCD options, computer, depth gauge, bottom timer options, ascent and navigations reels, lift bags/surface marker buoys for drifting or free deco, jon-lines or Garvin clips, proper weighting and buoyancy control during dive phase and deco. · Dive tables vs. Computer-Intro and review of different models, proper use of electronic multi level computers for dive planning and deco, mix adjustable, O2 integrated, Deco planning software use. · Dive planning-standard operation, gas requirements, oxygen limitations, and nitrogen limitations. Emergency planning-omitted deco, oxygen toxicity, DCS/DCI, equipment failure. · Procedures o Primary and decompression gas-normal operations, failure, loss or inadequate emergency procedures. Analysis and logging. Safeguards and deco supply regulators. Rigging and deployment of deco gear. o Descent-Methods of entry, down lines or free descent. Organization of equipment carried by a diver. Ascent -variable rates. Trim and buoyancy compensation. Fixed or Drifting Deco methods- up lines fixed to bottom. Reels and lift bags/surface marker buoys. Free drifting stages or live boat supply. Self contained versus surface supply/rendezvous gas cylinders. o Support-From shore. From descent line or fixed platform. From live boat. Required Open Water Skills: The students must complete the following open water skills during open water dives. The recommended maximum depth for this course is 130 fsw unless combined with other TDI courses where more advanced depth techniques are incorporated into the program. · Properly analyze all gas mixtures and label cylinders accordingly. · Demonstrate adequate pre-dive planning-Limits based on personal and team gas consumption. Exact dive and decompression profiles. · Properly execute the planned dive within all pre-determined limits- Assembly of diver carried equipment. Proper descent/ascent rates. Proper staged stop procedures. Monitoring of decompression status equipment (tables, computers, other equipment). · Contingency Situation & Problem Solving-Omitted decompression. Extended bottom time profiles with increased decompression and re-calculated schedules. Failure to deploy lift bag and reel. Missed up-line or missed boat anchor. Loss of decompression gas. · A safety stop of at least three minutes shall be conducted on all no-decompression dives and proper staged decompression stops whenever and wherever mandated. · Demonstrate the correct deployment of a lift bag using a dive reel and/or up-line. · Demonstrate (simulated) emergency gas sharing at a stationary depth not to exceed 100 fsw or a PO2 of 1.6ATA. · Demonstrate emergency deployment of a backup regulator or bailout scuba system containing bottom mix at a depth not exceeding 100 fsw or a PO2 of 1.6ATA. · Demonstrate the proper deployment, management and use of the bottom mix; decompression mix and travel mix if used. Conservative gas management. Depth control to avoid descending to deep for mix. Show appropriate and timely responses to instruction/signals form the instructor and demonstrate buoyancy control and awareness throughout the dive. Graduation requirements: Satisfactorily complete the TDI Decompression Procedures Course written exam. Complete all open water requirements safely and efficiently. Demonstrate mature, sound judgment concerning dive planning and execution. Cost: $1025.00 and includes books (TDI Advanced Nitrox and Decompression Procedures Diver manual) and C-cards. Not included are boat charter fees as needed and gas mixture fees for deco/nitrox mixes. You must have DAN hyperbaric insurance or the equivalent to participate. Please bring DAN and other cert cards when you sign up. Dive schedule TBD in classroom to accommodate everyone involved.